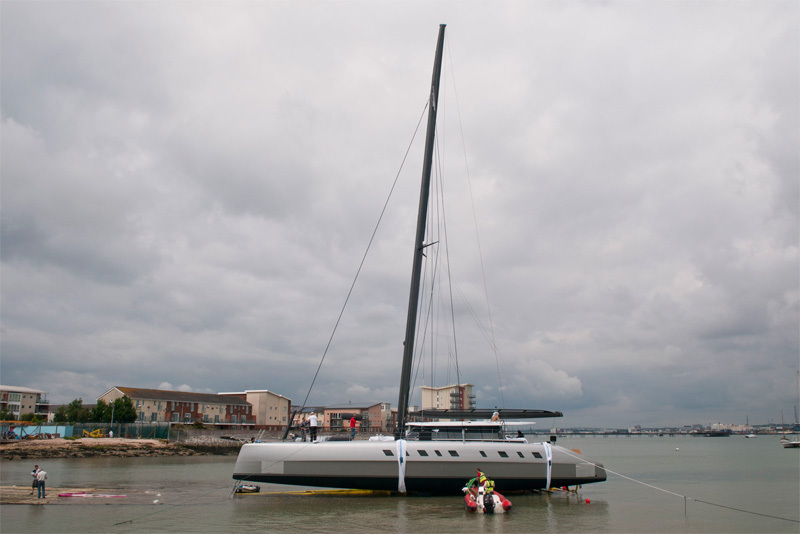 The new 24m (78ft) high performance cruising catamaran, Allegra, from Nigel Irens Design has been launched at Green Marine on Southampton Water, UK. Built in advanced carbon composites to an exacting programme of weight minimisation with a very full cruising specification, Allegra, promises to set new standards of multihull performance. After leaving the Green Marine workshop the state of the art, fully customised rotating carbon mast and boom from Future Fibres was rigged on the quayside prior to launching. The low-drag composite rigging incorporates the smallest diameter carbon rigging on the market, including a set of aerofoil diamond shrouds. Once in the water the characteristic sleek wave-piercing reverse sheer bows come into play with the two metre high seagull striker/martingale arrangement in front of the forestay designed to lower the transverse load on the hulls, thereby removing the requirement for the extra weight and drag of a forward crossbeam. The sailplan has been developed in close cooperation between Future Fibres, Nigel Irens Design and North Sails to maximize performance for a shorthanded cruising crew. 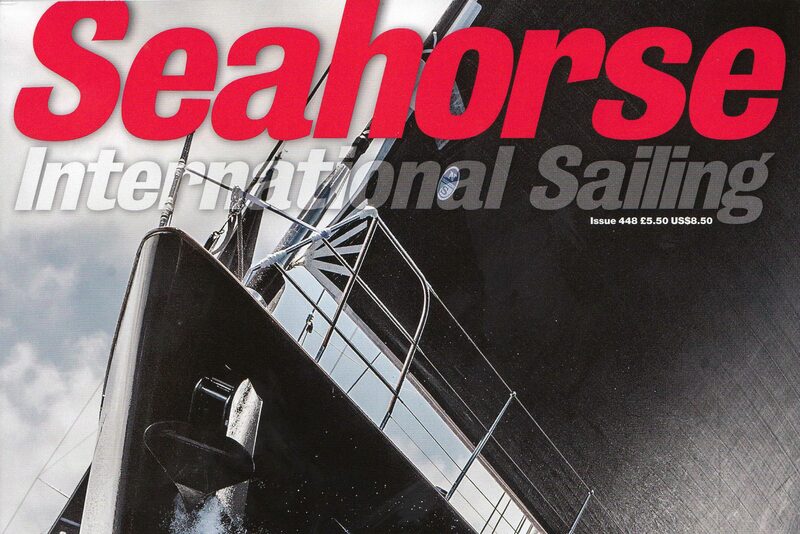 Allegra brings together the experience of Nigel Irens in designing some of the fastest yachts to have ever sailed around the planet with Green Marine’s renowned skills as one of the world’s best lightweight custom race boat builders. Click here to view the Allegra APC78 in more detail.